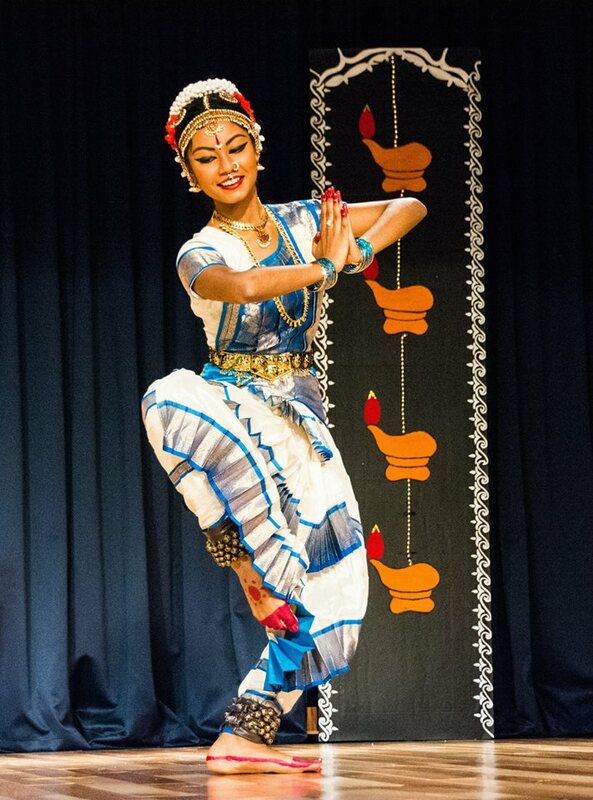 Atlanta, GA: On Aug 01, 2015, Trisha Dalapati performed her Arangetram at the Hindu Temple of Atlanta, Riverdale exhibiting her mastery over the classical art form of Bharathanatyam. The program was well-attended by classical dance enthusiasts and long-time friends and family. Trisha is a disciple of Chandrika Chandran, of Natyanjali Academy of Dance. Trisha’s parents discovered her passion for dance when, at the tender age of three, she broke out dancing to all types of music. Trisha’s talents were nurtured by her Guru, over the course of more than ten years. The Arangetram showed not just her grace and talent but something even more special. It was her thoughtfulness and generosity to donate all her money gifts to Ekal. Trisha’s Arangetram was the first Do It Yourself (DIY) fundraising campaign on ekal.org from the Atlanta area! Ekal Vidyalaya Foundation (EVF) is a non-profit organization which opens, supports and runs non-formal, one-teacher schools (vidyalayas) for the disadvantaged and neglected tribal and rural children of India. By providing free basic education, healthcare, vocational training and social empowerment Ekal is bringing about far-reaching changes in ruralIndia. Ekal Vidyalaya Foundation of India is the largest grassroots non-government education movement and has grown into a People’s movement with chapters inAustralia,Canada,Dubai,New Zealand,United Kingdomand 42 in theUnited States. The Arangetram was emceed by Hamsika Ramani and Smrithi Suresh with a natural flair. Well-renowned and popular artists – Chandrika Chandran (Guru), Sujatha Rayburn (vocal), Sandhya Srinath (violin) and Suresh Kothandaraman (mridangam) formed the orchestra. Trisha’s Ganesha Kauthuvam, Saraswati Vandana, Ramayana Shabdam, Varnam brought out the best in her nritta and abhinaya! Mahishasura Mardhini eloquently portraying Goddess Durga slaying the asura, Mahisha and the difficult postures of the snake dance brought out the wow factor! Additional information on the one-teacher (Ekal) school model was provided by long-time Ekal volunteer, Rachna Gupta, who through a powerpoint presentation showed the far-reaching impact of Ekal. With the inspiration of Swami Vivekananda, “If the poor child cannot come to education, education must go to the child”, Ekal has come a long way from its conception in the early 1980s by the late Dr. Rakesh Popli. Today, 52,526 Ekal schools, each running on an annual donation of only $365, provide basic education to nearly 1.45 million students, half of them girls. Ekal also focuses on empowerment of the village adults through its saptahik paathshaala, or Sunday classes. Chander Aggarwal, Regional President of Ekal, felicitated the young Trisha with an award in recognition of her talent and contribution via the “Do It Yourself” campaign that she started on ekal.org. In the past, there have been other heartfelt events like the family, which in lieu of celebrating their 50th Wedding Anniversary donated earmarked funds, or like several families who donated their wedding/birthday gift amount, chowki collection amount, talented artists who donated their artwork or local businesses who have become lifetime supporters of Ekal. Several local talented singers, musicians and groups like Saragam, Dhwani, Planet U, Geet Rung and others have lent their talent and time to put up entertaining fund-raising evenings over the years. Several young people have come forward to take Ekal fundraising campaigns to their schools and colleges. Georgia Tech students will aid Ekal through their ‘A-Town Showdown’ intercollegiate dance competition on February 13, 2016. Through local volunteers and ekal.org one learns that a one-time donation of $365 is not only education rural children but is a big nation-building step designed for all round development of far flung and remote villages of India. 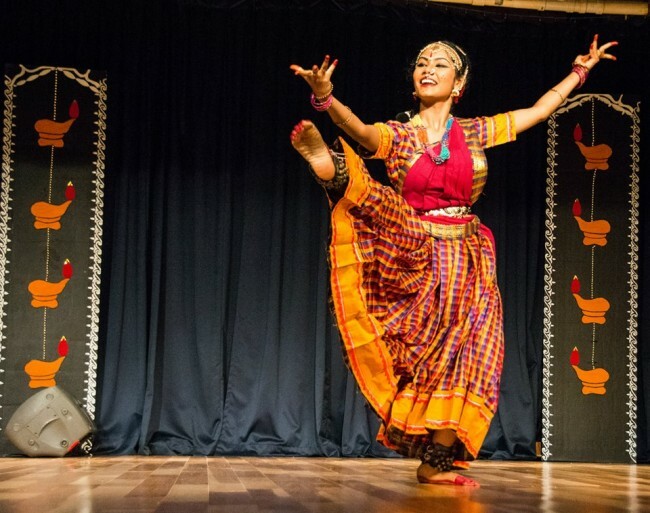 The evening was a wonderful celebration of Trisha’s talents, Guru Chandrika Chandran’s disciplined guidance and the community’s generous support which helped Trisha raise $1460 to fund one Ekal school for four years, named to honor both her grandfathers, Prafulla Kumar Dalapati and Indu Bhusan Dhar! While we sat back enjoying the delicious Bangla Daal, Bhindi Fry and Rasmalai at the traditional dinner hosted by the Dalapati family, there was a sense of hope and energy in the air. If more people, both young and old, were to emulate Trisha’s large-heartedness, Ekal Abhiyan would gather greater momentum and reach its goal of 100,000 schools sooner.